What better way to spend a relaxing holiday than to run a 10k trail race. Jo Wood writes this report. As I have now attended Sinead’s nutrition talk I know that drinking several pints the night before a race and having a Full English (well Scottish) breakfast on the morning of the run is most definitely not the way to prepare for it, unfortunately though I have no will power and as both of the above were on offer this was how my race preparation began. 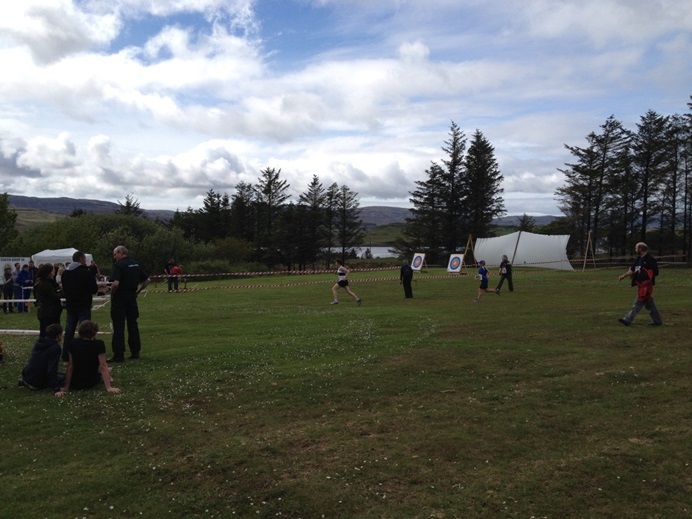 I arrived in Dunvegan about an hour before the race and made my way to the school field where the race was to begin. I found a field containing all of the advertised attractions which included a tombola stall, FRESH popcorn (this seemed to be a unique selling point) and various other stalls. 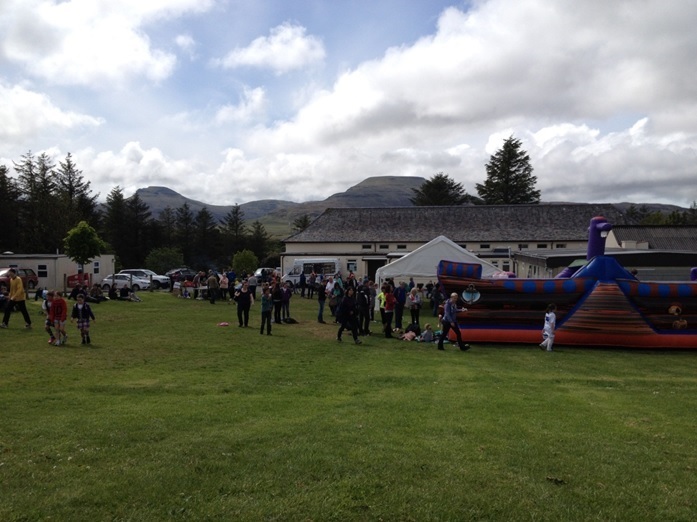 There was a great atmosphere, entertainment from local musicians and lots of children running around in tartan. 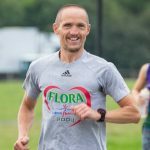 I made my way to the registration tent, paid my £6 to enter and was given my number, and told to meet outside the house at the top of the field 10 minutes before the race was due to begin. Jo on the start line. At the allotted time I followed the crowd to the start, there were about 80 people taking part. We were given a description of the route which meant nothing to me but I tried hard to remember what was said. I eventually gave up and decided just to follow the person in front of me. The race started at the top of a bit of a hill so we began with a fast run down the road towards Dunvegan Castle. I started in my usual position near the back but actually managed to overtake quite a lot of people in the first mile. I knew the uphill was yet to come so thought they might all pass me again when I struggled uphill. Once we reached the castle entrance we then joined a forest trail and headed uphill for the next 4 kilometres, the climb was steady and I managed not to walk (this is unusual for me on hills), I think the increasingly good views of the mountains and sea appearing around me must have kept me suitably distracted. At the top of the hill it was back to the road and a gentle decline for the second half of the run, just the right sort of slope where gravity helps you but it isn’t too steep. This continued pretty much all the way back to the finish with great views all around and the odd cattle grid to run round to keep things interesting. We finally turned in towards the school again and there was a tough little climb just before the finish followed by a stretch across the school field avoiding any stray arrows to the finish line where we were given our medals. 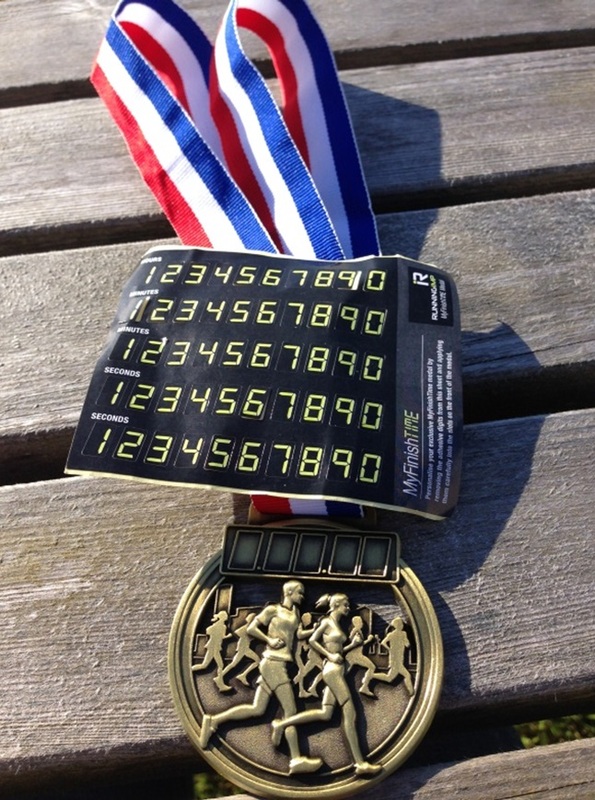 At this point I thought I had been given your average race medal, but no, I was in for an added treat when I discovered the medal came complete with stickers for you to insert your finishing time on the front. Finisher’s medal and sticker pack. I made my way from the finish to discover there was also free food on offer in the gazebo. There was the choice of pasta or soup and a bun with a variety of drinks. 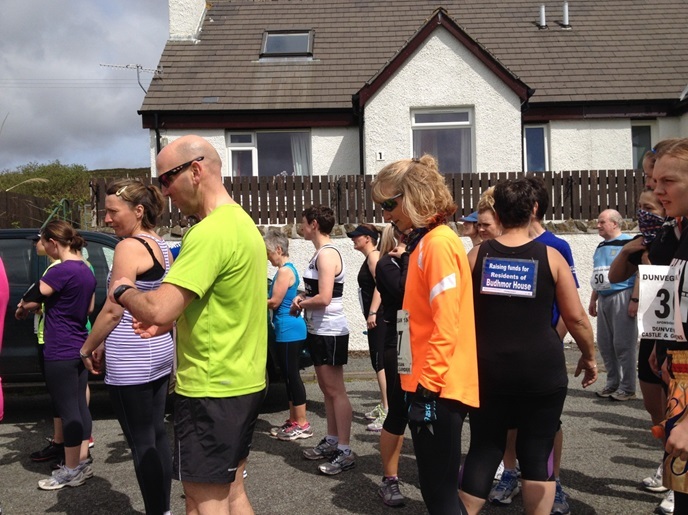 I also spotted a man in a North Tyneside 10k T-shirt, not what I was expecting 400 miles away from North Tyneside! It turned out he was originally from Cramlington and had moved to Skye about 8 years ago. 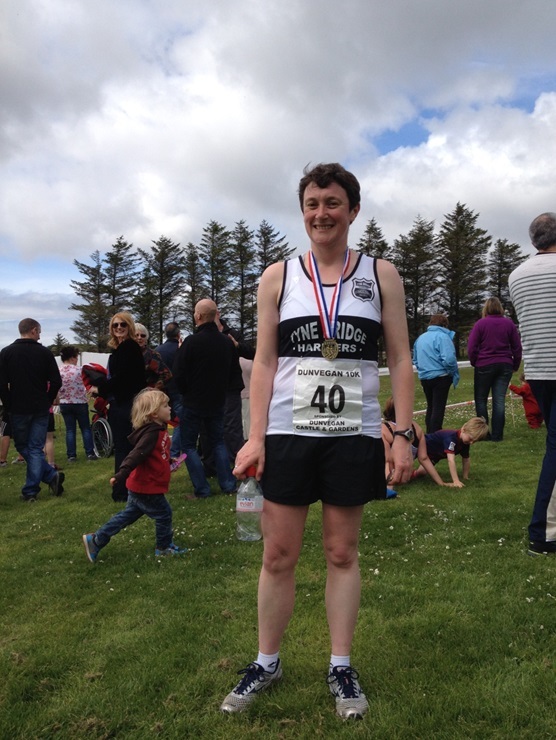 I finished in 19th place overall, 5th woman in 51:25. It was a great race, excellent value for money and a really friendly atmosphere. I would thoroughly recommend it, just a shame it takes so long to get there! Well done Jo. Great running and reporting!